Following the nostalgia drenched debut of Jonny Nash’s new score for the seminal Dutch film, Sky Over Holland at Dekmantel 2017, the Netherlands Institute for Sound and Vision’s RE:VIVE initiative and Dekmantel team up again for a new slew of re-imagined film scores from some of the Netherlands foremost musicians. 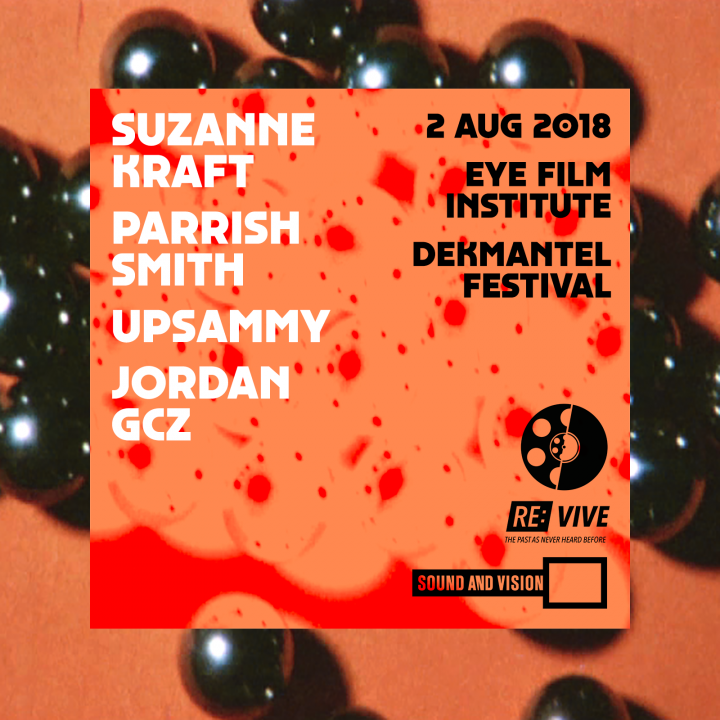 Pulled from the vaults of EYE Film Museum and Sound and Vision, Parrish Smith, upsammy, Jordan GCZ (Jordash of Juju & Jordash) and Suzanne Kraft will compose brand new works for 3 Dutch and 1 German experimental animation films. All films, visually mesmerizing, vibe with each producers’ characteristics. The rigid yet flowing instrumentation of Jordan GCZ, upsammy’s pastoral rhythmic house, Suzanne Kraft’s somber lushness and Parrish Smith’s destructed opus all offer modern yet appropriate accompaniment for the films. Debuted for the first time, at EYE Film Museum, each producer will try their hand at composing for moving image, to craft a new sonic narrative for an oft ignored film finally brought back to life. The film screening will be free to attend on August 2nd at EYE Film Museum. More info about Dekmantel 2018 can be found here.